The Destitute Asylum Seeker Service (DASS) is a partnership project led by RST with the Scottish Refugee Council, British Red Cross, University of Strathclyde Law Clinic, Glasgow Night Shelter, Fasgadh and Rehoboth Nissi Ministries. Using a model of holistic support, DASS assists refused asylum seekers who are ARE (Appeal Rights Exhausted) and NRPF (with no recourse to public funds) to find a route out of destitution and resolve their situation. Referral: Referrals to DASS are made primarily via partners in the destitution network, via self-referral or through a drop-in at the Scottish Refugee Council. You can also refer via RST – see below. Casework: After referral, the client meets the Destitution Adviser who explains the purpose of the project and carries out a holistic assessment of needs. This includes signposting to health services where necessary and assisting with emergency shelter if needed. Emergency shelter: DASS assists clients to find a regular safe place to sleep through signposting to the Glasgow Night Shelter or referral to Positive Action In Housing’s Room For Refugees hosting scheme. Legal support: The Immigration Case Adviser at Strathclyde Immigration Law Clinic reviews the asylum cases of clients with no legal representation and provides oral and written advice. If there is new evidence, Law Clinic volunteers help to prepare a fresh claim application. For clients who already have legal representation, the Law Clinic can offer additional support, with the solicitor’s consent. Temporary accommodation: DASS clients whose cases are being supported by the Law Clinic may be offered temporary accommodation for up to one year in one of our shared houses or flats. The DASS Accommodation Worker and volunteers provide practical support with moving in, getting to know the area and accessing local services. 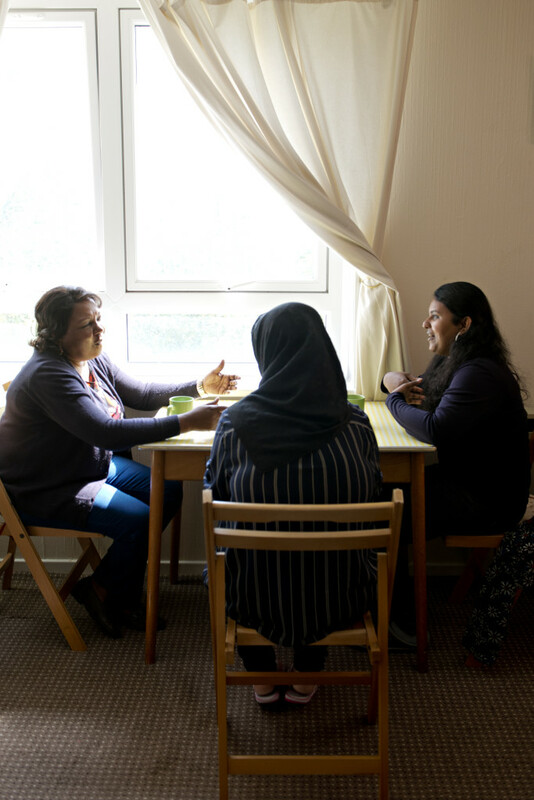 Casework support: DASS clients receive ongoing casework support which includes signposting to additional services and help with completion of applications for Section 4 asylum support. Data collection: We collect quantitative and qualitative data at all stages of the project. This data will be used to advocate for better services for destitute asylum seekers and to campaign for changes in the asylum system. Downloading our DASS referral form (in pdf or MS Word format). Please email completed forms to DASS@scottishrefugeecouncil.org.uk.